A multi-branded sampler set which includes two full-size and three deluxe-size lip essentials. 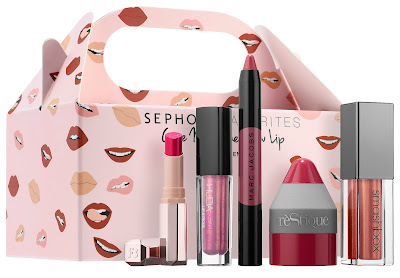 Verdict: I was pretty excited to see this new lip sampler set from Sephora because it is filled with lots of new releases. Sephora lip kits tend to be a great deal because they always include at least 1 full size product. This kit alone was a great deal since both the Marc Jacobs and Smashbox products were full sized and valued at $50. The Fenty Beauty lipstick applied smoothly and was very pigmented. There was still a stain left after I wiped my makeup off. I had been wanting to try one of Huda Beauty's lip strobes and I loved the glitter effect it had. The treStique lip balm was decent but the moisturizing effect did not last long. 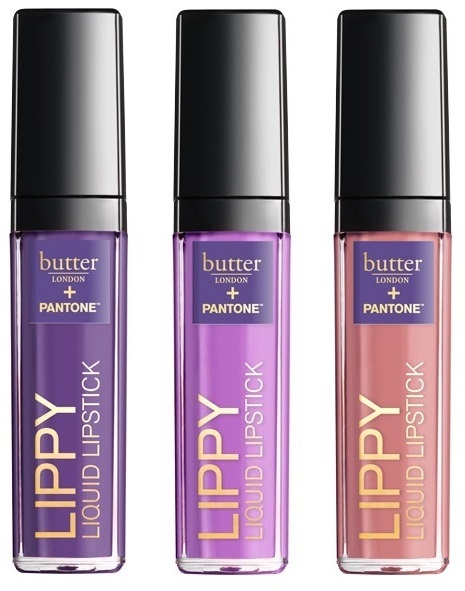 My favorite products in the kit had to be the two full sized lip colors. The Mac Jacobs Lip Crayon was fantastic. 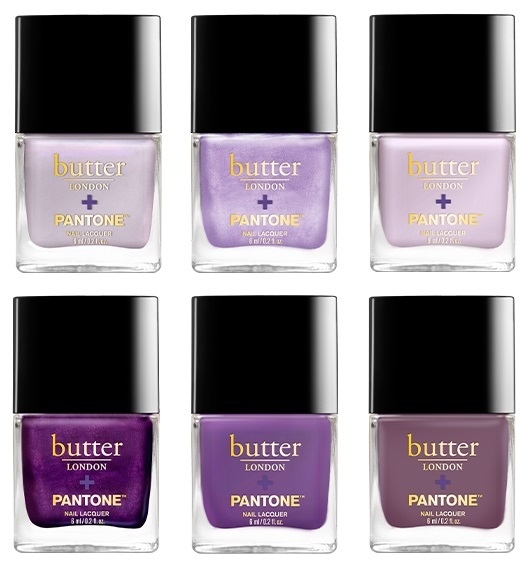 The color is gorgeous and it applied very smoothly and evenly. Finally the Smashbox Metallic lipstick was pretty and unique. 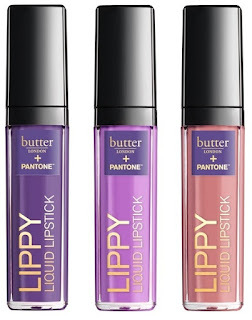 I am excited to put these new lip products in my beauty arsenal. An eye shadow palette with new, velvet textured foiled eye shadows that are so plush and pigmented, you can paint them on with your fingers. Verdict: I absolutely loved this palette. The packaging is gorgeous, the colors are amazing and the glitter is the icing on top. These finger foil shadows are so buttery and pigmented. The colors are unique and look amazing on the lids. My favorite part of this palette has to be the Stargazer glitter shadow duo. The glitter is so intense and I didn't experience much fall out. I really hope Tarte makes a whole line of these sparkley glitter shadows. This palette is awesome and I am so glad I purchased one. 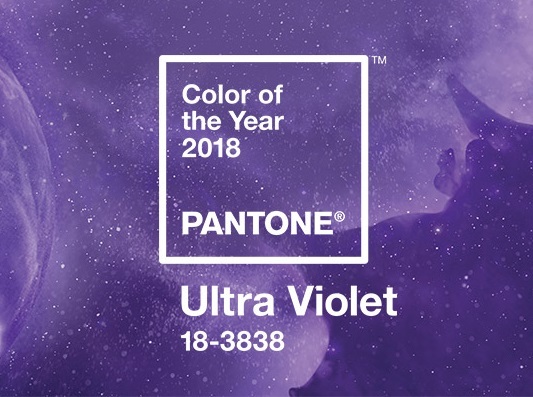 Pantone recently announced the 2018 color of the year and this year it is all about Ultra Violet. 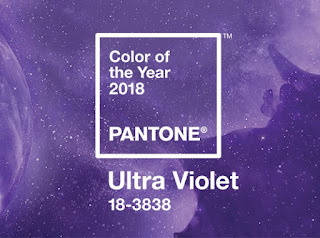 Ultra Violet communicates originality, ingenuity, and visionary thinking. 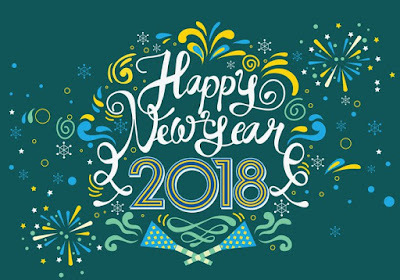 It also symbolizes experimentation and non-conformity, spurring individuals to imagine their unique mark on the world, and push boundaries through creative outlets. For the second year in a row, Butter London had the honor of teaming up with Pantone to release a Color of the Year collection. 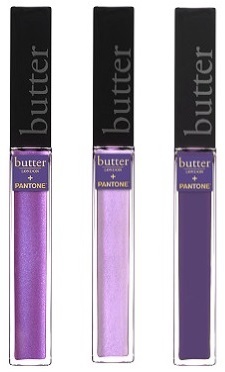 The Butter London collection consists of new nail lacquers, liquid lipsticks, lip glosses, and eye products. 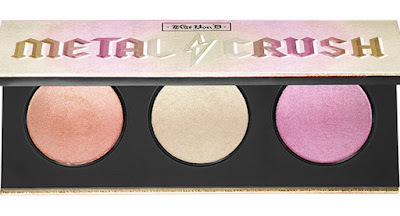 A super-limited edition highlighter palette with three metallic shades for light-catching dimension. 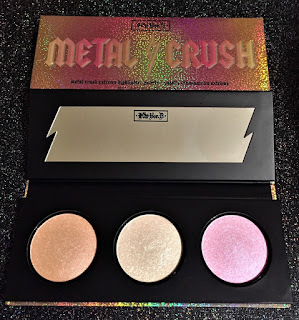 Verdict: Over the past few years there has been a plethora of highlighters hitting the beauty market so a product needs to be different to grab a buyers attention. 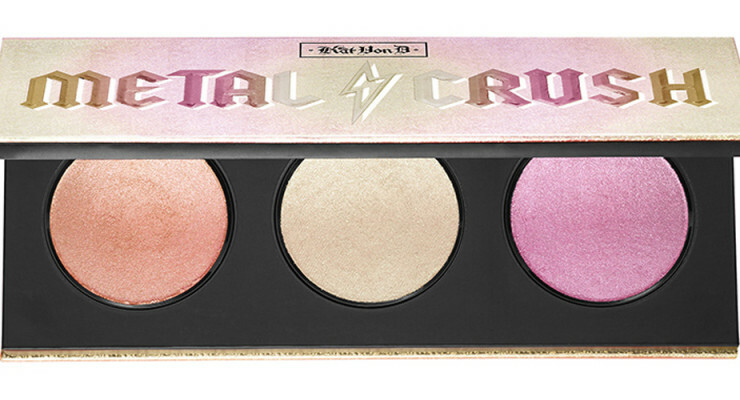 Enter Kat Von D with her metallic highlighting trio. 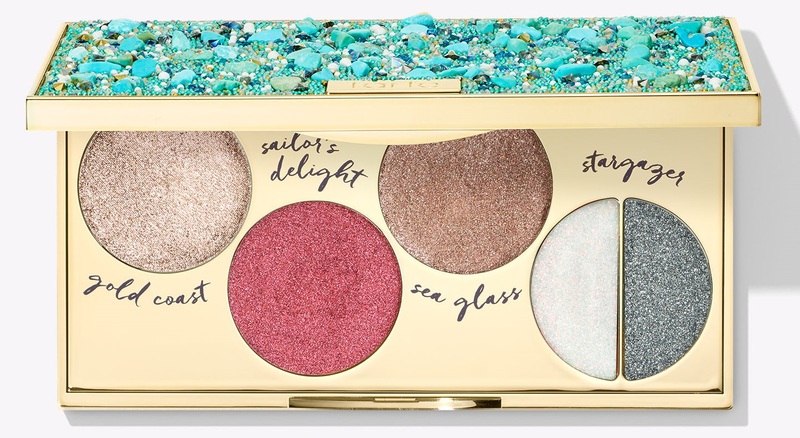 The colors in this palette are so unique and just scream Glitter Fairy Mermaid to me. The formula was buildable and extremely pigmented. However the palette ended up being a bit disappointing. The shades were more glitter based than metallic and unfortunately there was some major fall out since the formula was chalky. I don't think I would wear any of these colors as a highlighter but they would make beautiful eyeshadow colors. I would suggest passing on this palette and just saving your money. 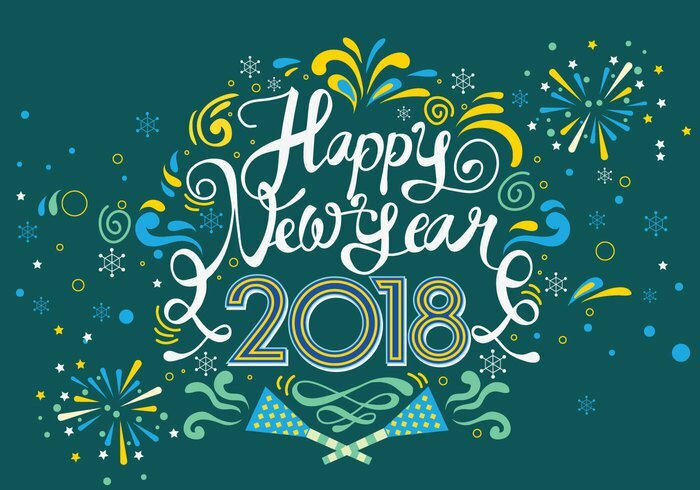 I truly appreciate your continued support throughout the years and I look forward to bringing you all more beauty newness in the future.